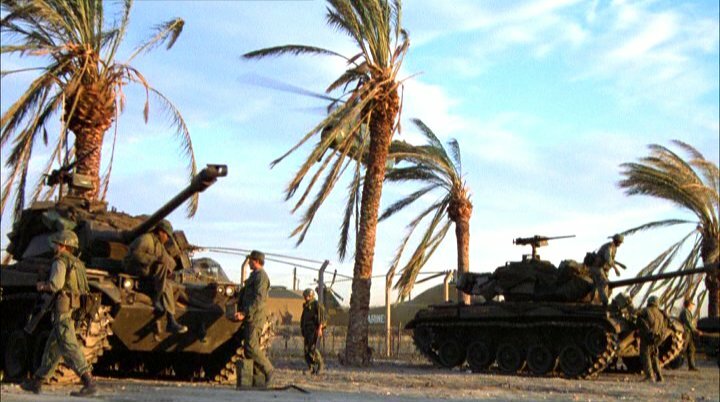 IMCDb.org: Cadillac M41 'Walker Bulldog' in "Full Metal Jacket, 1987"
3 or 4 tanks appear in this film, they are reused in different scenes to give the impression of a large military force. They all appear to be the same model. 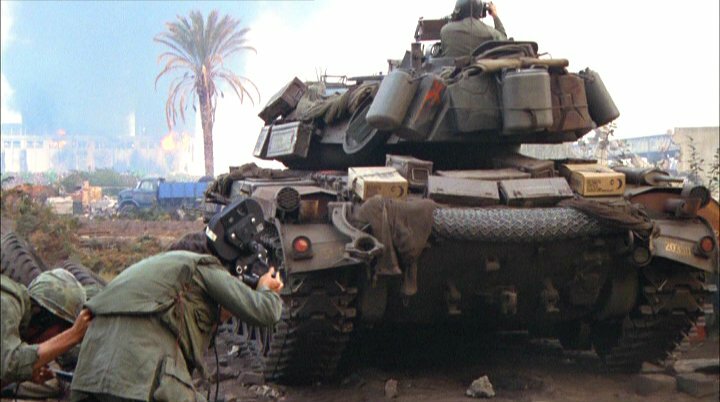 Considering Full Metal Jacket was filmed in England, these may be British tanks rather than American ones. I read somewhere that they were American tanks (can't remember which type) formerly owned by the Belgian army. "The tanks are actually the M41 Walker Bulldog, an even older tank than the M47, certainly not in operation by the USMC in Vietnam in 1968." Actually M41 Walker was in operation in Vietnam War . 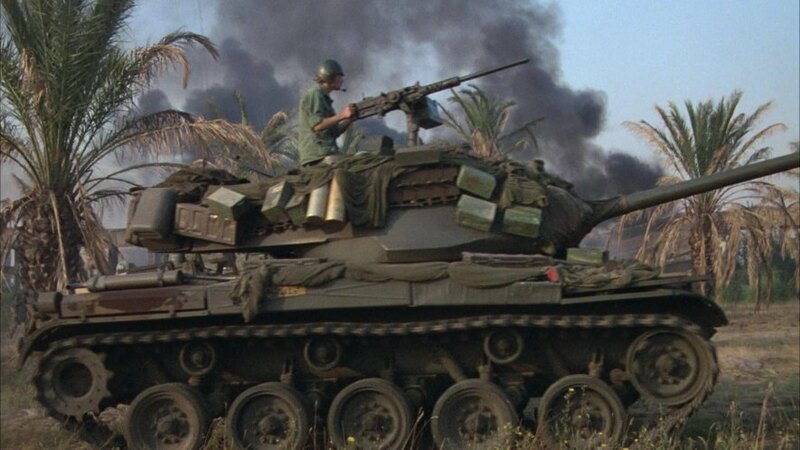 Produced in the 1950 by Cadillac Cleveland Tank Plant with first production models completed in 1951, M41 was not used by the USMC in combat in Vietnam but was provided to the South Vietnamese during 1965 as part of a massive re-equipment program. Though M41 was first introduced during Korea War with nickname 'Walker' in memory of General Walton Harris Walker, United States Army , he was killed in a jeep accident in the Korean War. Its light weight made it more suitable than any other tank for most internal security tasks although its 76mm gun was not highly effective against North Vietnamese T-54/55 tanks in the Vietnam war . 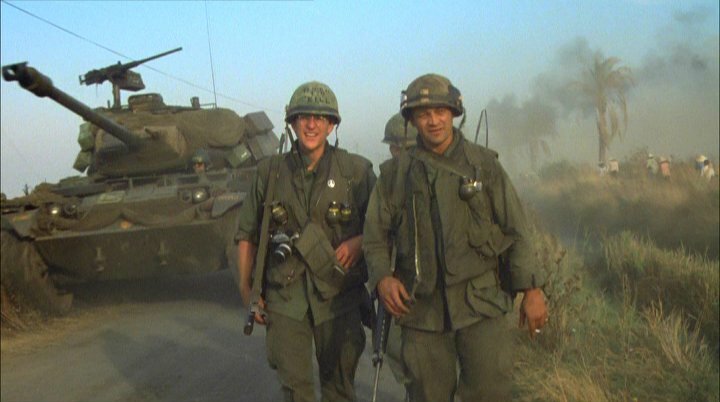 What you say is correct, however the tanks in this film have USMC (US Marine Corps) written on them, and by 1968 (the year this film is set) I don't think they were using them in combat anymore (according to what I've read, I'm no expert). Gag Halfrunt wrote I read somewhere that they were American tanks (can't remember which type) formerly owned by the Belgian army. Wikipedia says that they were obtained through a Belgian Army officer. M41s were once used by the Belgian military, but I'm not sure if they were still in service by 1987. A friend of mine says that Cadillac M41 'Walker Bulldog' was also used in the Armed Forces of the Philippines (AFP).